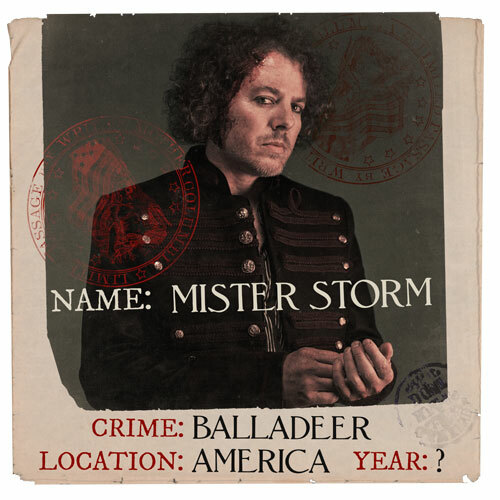 Mister Storm, American balladeer and collector of tales of bad, bad Murder. Ever chasing lightening, Mister Storm’s keepsake symbol is that of a key. Mister Storm is Saar Hendelman. 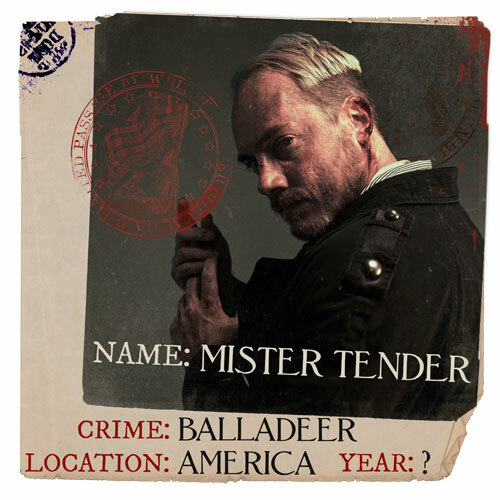 Mister Tender, American balladeer and collector of tales of bad, bad Murder. Driven by a muddy sense of duty, Mister Tender’s keepsake symbol is that of an anatomical heart. Mister Tender is Terrance Zdunich. Like Cain of the Bible, the killers that wander Messrs. Storm and Tender’s tales are cursed to bear The Mark, a punishment for their murd’rous deeds: a sideways “A,” stained upon the left forearm… a crude arrow, pointing west. 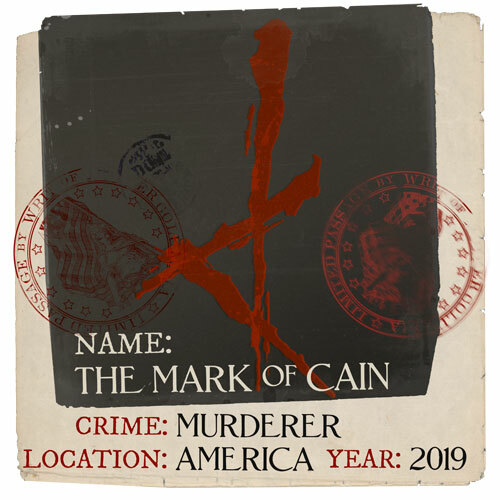 The Mark Of Cain is A Murderer’s Punishment. A bad ol’ wagon, driven by Cain of the Bible, it carries Messrs. Storm and Tender through history to collect tales of American Murder. 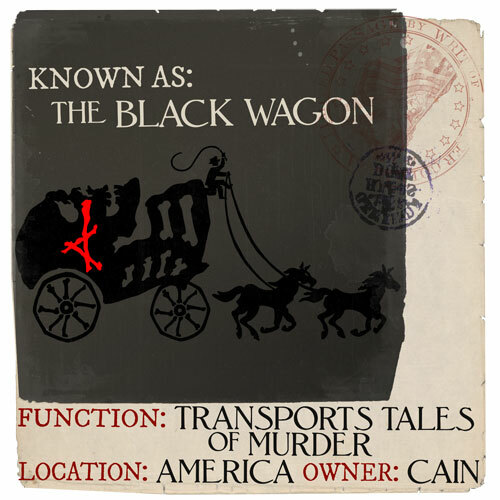 The Black Wagon is A Murderer’s Carriage. The six-pointed navigation device used by Messrs. Storm and Tender to seek out and locate American murder. Branded with The Mark Of Cain, this ancient instrument points west from the 13 colonies towards bloody expansion and murd’rous deeds. 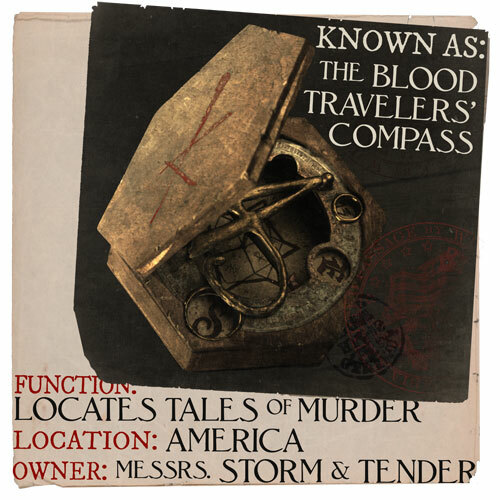 The Blood Travelers’ Compass is An Accursed Artifact.